“Going natural” – This mantra is gaining popularity nowadays for health buffs. From food to beauty treatments to medicines, people are seeking the “natural’” way. In medical care for example, alternative treatments like acupuncture have gained a large following. In the West, it is widely used as an analgesic. Acupuncture generally focuses on a holistic, energy-based approach. 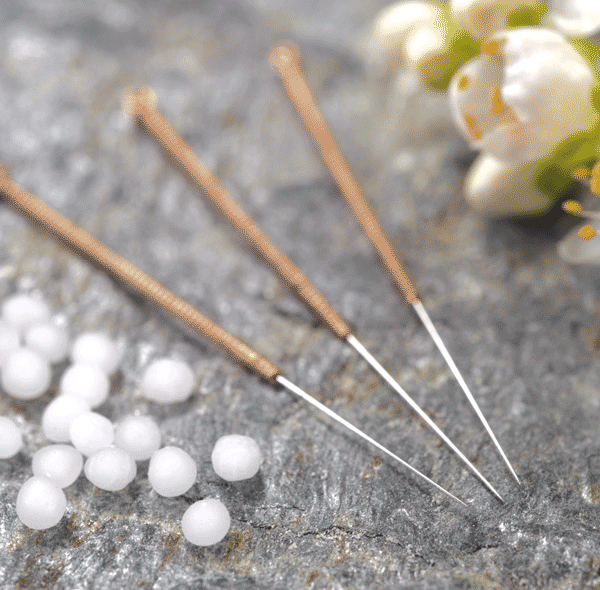 This method, which utilizes the use of needles as therapeutic tools, dates back to 4,000 years in China. Then, the needles were used to heal boils and abscesses. Its main principle is that health is deep-rooted in a well-balanced internal constitution. It was developed in response to the principle that the energy called chi or qi flows between meridian points on the internal organs and the skin, of which 365 out of 2,000 are commonly used. When a person is ill, the flow of chi along these pathways is interrupted. Other interruptions include food intake, weather, coffee, drugs, tobacco, alcohol, stress and physical activity. By inserting and twisting needles at the designated acupuncture points or near the site of the illness, pathways are unblocked, thus restoring balance in the energy flow. Although the idea of chi is accepted by most acupuncture practitioners, Western researchers present two different theories as to how the mechanism of acupuncture works. One suggestion is that the acupuncture encourages the release of pain-relieving hormones from key organs in the body. These hormones, called enkephalins and endorphins, stop pain signals by blocking their pathway through the spinal cord. This theory means that elderly people suffering from body pain can now do away with the intake of pain killers for relief. The other theory says that acupuncture initiates changes in the release of cellular signal, receptor molecules, neurotransmitters and hormones that can be treated due to enhanced secondary immune response. However, no matter how “natural” acupuncture is, safety precautions have to be taken. Acupuncture is not for everyone, especially those with surgical-implanted devices inside their bodies and those with nerve-damaging disorders. Make sure to go to a licensed and reputable acupuncture practitioner. Unnecessary punctures and infected needles can cause serious damages. Official acupuncturists have the either of the following credentials: Diplomate of Acupuncture (Dip. Ac. ), Certified Acupuncturist (CA), Doctor of Oriental Medicine (OMD), Master Acupuncturist (MA) and Licensed Acupuncturist (Lic. Ac.). Before considering acupuncture, make sure you are fully assessed by a physician. And still, always keep in mind that no method or treatment is effective without the aid of a healthy lifestyle, well-balanced diet and sufficient exercise. Can Quick Fixes Effectively Fix Stress? Best Practises in Chiropractic (C) 2019.